Is smart technology making us dumb? What are the main problems with dependence on technology? Over reliance on smart phones is only one of the ways in which advancing smart technology and the Internet of Things is affecting our daily lives. While these technologies help us in many ways they can also make us lazy. When information, access to services and instant entertainment are at our fingertips, there is little reason to go and do… anything. The problems with over reliance on smart phones can be overcome, the problem with that is that it takes a little effort. It is not infallible, it often makes errors or worse, the programmers who created the software could have made a mistake. The writers of an important informational page could also make mistakes, or they may intentionally mislead or lie to the public to further their own ends. If you rely solely on technology to handle things for you, or for your information, you will be at its mercy. Take for example phone numbers, how many phone numbers do you know besides 911 or 411? I remember not too long ago when I knew all my friends phone numbers. Now, if my phone died I wouldn’t be able to call anyone because I wouldn’t know their number. If I lost my phone it would be a monumental loss of information. 2. Your smart car will choose to kill you. This sounds absurd but follow me. The biggest criticism of smart cars is their safety, how can a car become responsible for the well-being and lives of its passengers and those it encounters on the streets and in other cars? In whose favor is it supposed to make the choice? This is being addressed by now with fancy algorithms, machine learning and artificial intelligence. Say you are in your car going down the road and all of sudden the car encounters a situation in which there is now way out of killing someone? If the car does one thing 10 people die, if the car does another you die and there is no middle ground. What does it do? 3. Implantables and medical devices are at high risk of hacking. These devices are becoming more and more advanced and now include Bluetooth enabled connection completed with apps you can control from your phone or tablet. If you have a pacemaker you can monitor your heartbeat and control the settings. Better yet, your friends, neighbors and the guy down the street can control it for you…get your heart racing so to speak. Maybe your hearing aid, the one that’s plugged into your nervous system, gets a virus and goes haywire inside your head, or an insulin pump if you’re diabetic or any kind of connected device that is inside your body. 4. Smart devices monitoring the local water supply and treatment facility could malfunction or become compromised. This could lead to a shortage of water or infected dirty water and you might not know it until it’s too late. Think about it, when is the last time you tested the water coming out of your faucet? Probably never, because we trust the municipality to do it for us. Let’s just hope they aren’t relying solely on technological ease. 5. Lets face it. The Terminator was not such a wild movie after all. Sure, we’re a long way from having fully independent Android robots running loose around the planet but it could happen. The Internet of Things is growing faster than anyone can imagine. Combine advances in AI (Artificial Intelligence), the Internet of Things, blockchain technology and consumer devices like Amazon’s Alexa (the worst invasion of personal privacy ever invented) and the implementation of a real “Skynet” becomes more of a when than an if. Problems with over reliance on smart technology seem small now, but wait until Alexa starts giving you lip, refusing your requests or making decisions for you. So, is the Internet of Things safe? Not really. Our world is changing and so shall we. It’s about time to start taking your privacy and security seriously to avoid problems with dependence on technology, and to control your personal over reliance on smart phones and other connected devices. A VPN (virtual private network) is a great solution to enhance your security and privacy online, but it cannot save you from all the other risks. 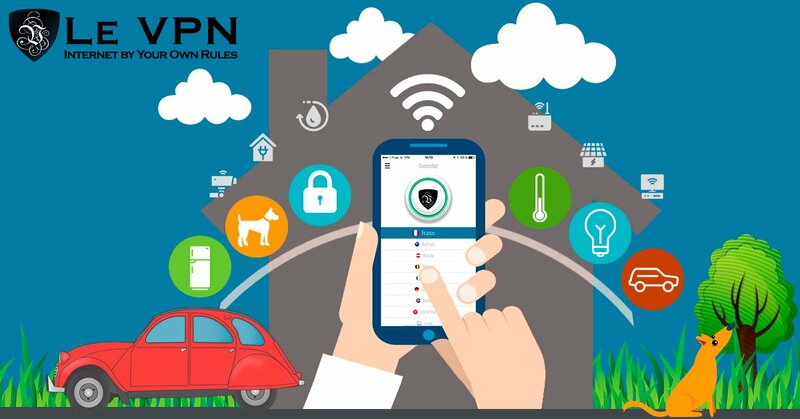 Read on to learn more about the IoT security of smart devices and how you can protect all your connected devices at home or office with a VPN router.